Women Physician Section - Residents Section - The New York State Society of Anesthesiologists, Inc.The New York State Society of Anesthesiologists, Inc. Women Physician Section - Residents Section - The New York State Society of Anesthesiologists, Inc.
As residents and fellows, we have the opportunity to shape the future of medicine and of our specialty. It is through advocacy and empowerment that we can tackle issues that affect our personal lives, professional careers, and our ability to care for patients. The goal of this forum is to learn from the experiences of other women in medicine and in anesthesiology, and to empower the next generation of residents and trainees, by creating a supportive environment for collaboration, mentorship, and networking. 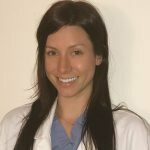 We aim to harness the compassion, the diligence and the unique perspectives of women in Anesthesiology training to change the culture of our specialty, to promote career development and to advocate for the relevant policy changes. Let us be the catalyst for change!